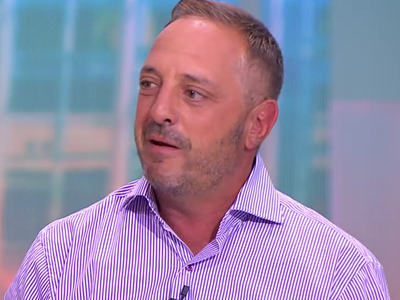 Short seller Andrew Left changed his view on Tesla and bought the stock ahead of the company’s crucial earnings. The electric-car maker reports after Wednesday’s closing bell. Tuesday’s announcement may come as a suprise for some because Left filed a lawsuit against Tesla in September, alleging CEO Elon Musk was trying to burn short sellers like himself. “Defendant Musk has a long-standing public feud with short-sellers,” Left’s attorney, James Wagstaffe, said in the filing. 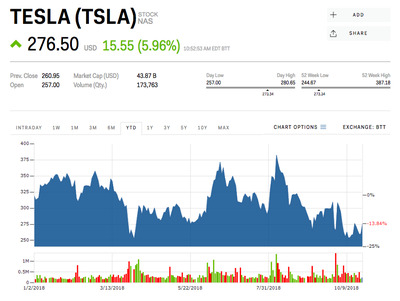 According to Left, the media has been focused too much on Musk’s personal behaviour – such as smoking marijuana during a live interview and taunting of short sellers – but has failed to notice Tesla’s dominance in the electric-vehicle market. He believes Tesla is easily beating traditional automakers with a high level of connectivity and “upgradeability” in Tesla cars, and that no other electric vehicle can compete in the short term. “There is NO Tesla killer,” Left added. “Competition is nowhere to be found and no electric vehicle is slated to launch at the Model 3 price point until 2021.” By his calculation, Tesla will be trading at $US599 in the worst-case scenario of 500,000 deliveries, an auto gross margin of 20%, and a price-to-earnings ratio of 20%. And a recent report from Berenberg agrees that Tesla doesn’t have a real challenger. It said that Nio, a China-based electric-car maker widely touted as the Tesla “killer” when it went public in the US last month, is not a major threat to Telsa. According to Berenberg, Nio is a pure play in China where Tesla only has about 15% of group sales, which means its dominance in the market has a limited overall impact on Tesla. Moreover, Tesla’s product is materially ahead of the competition in the Environmental Protection Agency range, an estimate of the number of miles an electric vehicle should be able to travel from a full charge. Tesla’s Model X has an EPA range of 335 miles, while the Nio ES8’s is at 154 miles. Tesla will report its third-quarter earnings after the bell on Wednesday. Analysts surveyed by Bloomberg are expecting an adjusted loss of $US0.08 a share on revenue of $US6.273 billion.